The vast majority of Americans age 65 and older—about 90 percent–say they want to continue to live in their own homes as they gain in years. 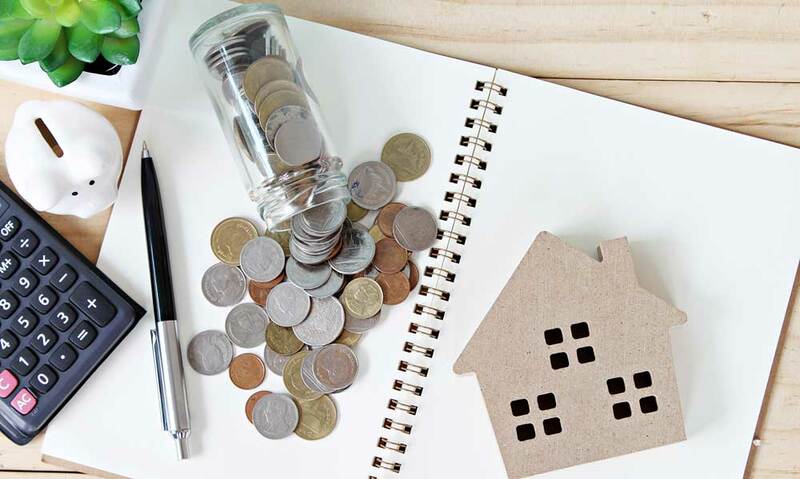 Unfortunately, reaching into your savings to repair or modify a house can feel stressful. Many seniors are worried about their financial futures. Approximately 15 percent of seniors surveyed by the AARP say they are not confident their finances will last through their retirement years, and eight percent have no financial plan for retirement. The good news is that making your home safe doesn’t have to break the bank. There are many inexpensive projects that you can do yourself. Here are some do-it-yourself fixes to ensure your home remains safe for years to come. The U.S. Centers for Disease Control and Prevention reports that one in four Americans age 65 and older reports falling each year. One way to reduce slipping or falling on a wet bathroom floor is to replace the floor with a non-slip surface. A variety of materials, such as rubber flooring, non-slip vinyl, or cork offer traction or cushioning and cost less than $3 per square foot. Non-slip rugs are another option and generally cost about $10 to $15. 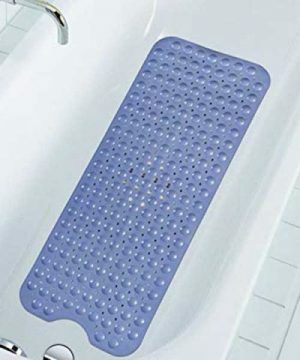 A non-slip bath mat with suction cups is only about $10. Non-slip sprays for the tub or shower are between $20 and $30 and water-resistance adhesives go for about $40 to $50. The bathroom is a frequent site of falls. But modifying for aging in place means looking throughout the house for potential dangers. The Americans with Disabilities Act offers guidelines for flooring that can help you determine what flooring is safest. Carpet, for instance, should be attached securely and not be more than a half-inch thick. Look for electrical cords or other items that could be a trip hazard and remove them or tape them down. A little light can make a huge difference in creating a safer environment. Installing recessed lighting on a dimmer switch costs about $13 to $40. Keep the light low all night long and you’ll be able to see should you need to get up to use the restroom. Lights with motion sensors that detect when a person enters a room and turn on the lights start as low as $15 and go up to $200 for outdoor fixtures. Installation of a motion-sensing light switch is fairly easy. DIY Network offers a step-by-step guide for installing a motion detector light switch. Even easier would be to purchase a pack of adhesive, tap-on lights to shed more light under cabinets. A pack of LED, tap-on light is about $20. Putting in a permanent ramp that lets you enter your home using a walker or wheelchair costs about $1,600 to $4,000. When a permanent ramp isn’t possible or is too costly, a portable ramp could be an alternative. 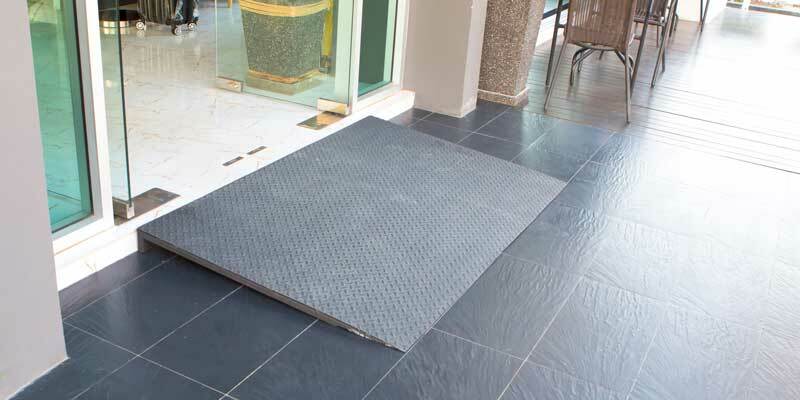 A portable ramp to cover a step or threshold at the entrance of a house costs as little as about $60 to up to about $800. To prevent slips and falls, look for ramps that are sturdy and have high-traction surfaces. Review specifications for the weights that ramps can bear. Many can accommodate 600 to 850 pounds. Ramps also come in a variety of lengths from two-feet to 12-feet long and some have handles for easier carrying. 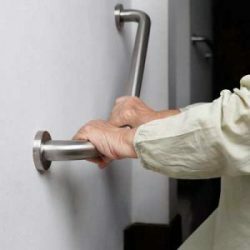 Grab bars are a common home modification that can help a person with strength, mobility or balance issues move from sitting to standing or vice versa with ease. The type of grab bar you need will depend on where you are going to use it. Grab bars are frequently installed in bathrooms, bathtubs and showers. Three grab bars will cost about $140. Be sure to install them into wall studs rather than sheetrock. While standard grab bars are often metal, there are options in white, brass, or gold to better complement a room’s décor. Look for bars that can bear up to 250 pounds. Another type of grab bar, a floor-to-ceiling pole, is useful in the bedroom or any area where a wall is not available. You can find this kind of grab bar for around $150. Painting walls a different color than the floors can aid perception. Adding colored lines on stairs, floor transitions or counter edges can help an older person recognize a transition. The cost of a do-it-yourself paint job for an average size room is about $200 to $300. Replacing a toilet with one that is easier to reach could provide a sense of security for a person who has difficulty sitting down or standing up. A toilet geared for an elderly person or one with a disability, dubbed comfort-height toilets, are 17 to 19 inches from floor to seat, which is similar to the height of the chair. The height of a standard toilet is 15 inches. Before selecting a toilet, consider how tall you are and what toilet height would be most comfortable. A shorter person might not feel safe having to climb on to a toilet that is too tall. Some new toilets can be purchased for as low as $100; a better quality toilet will likely cost in the $150 to $300 range. The work of putting in a taller toilet is the same as installing a standard one. Another option for someone with mobility challenges is to install a smart toilet that cleans and dries the user. Toilet seat bidets can cost as little as about $100. Some may require a nearby electrical outlet or changes to the electrical wiring. Cheaper options include toilet safety frames that flank both sides of the toilet and allow a person to grab the frame to stand up or sit down. 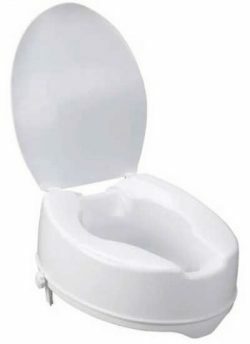 Toilet seat risers can be placed on top of an existing toilet. Both options cost around $30 to $50 and require no renovation work. 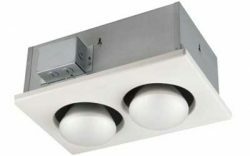 An infrared heat lamp in the bathroom can provide warmth when it takes a bit longer for an older person to get in and out of the bathtub or shower. 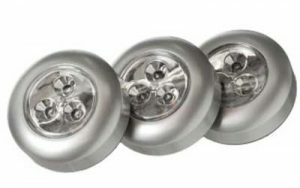 Putting an infrared bulb, as well as a regular bulb, in an overhead light fixture is an easy way to add comfort. A combination heat lamp and light fixture cost about $50 to $150. It can be expensive to widen a door, but it doesn’t have to be. Some easy solutions to widening a door include removing offset hinges or removing molding from the bottom few feet of the doorway to allow for an extra couple of inches. Doors should be at least 34-inches wide to make room for a wheelchair or walker. Cost ranges from $100 to $700 per doorway. There’s no time to waste when an emergency occurs. Replacing signage on the front of your house is an easy way to help emergency responders find you. New signage with large house numbers you can see in the dark costs only about $20 to $40. Replacing faucets with lever handles are easier for someone with arthritis or grip issues to push down rather than having grip and twist. It costs about $150 to replace faucet handles. Replacing round doorknobs with lever knobs is a straightforward and easy job, only requiring a screwdriver. 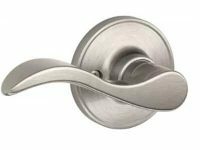 A lever doorknob costs about $15. About one-third of older Americans live on their own. A home monitoring system or medical alert system can help provide peace of mind that an older adult is safe in their home. Prices range from about $20 to about $60 a month for a subscription. These systems often incorporate a base station and a wearable necklace or wristwatch. Features vary, but many systems offer automatic fall detection that will alert company representatives when a senior has taken a fall. Some provide digital pill boxes that can be opened only when it is time for a person to take their medication. Others have activity trackers that can alert family members or caregivers when the device is not being worn or detect when a person is inactive during a time when they are usually moving around.